The Fläpps Kittchen table by Ambivalenz is the optimal table for small kitchens and spaces where there is no room for a normal table. The folding wall table is suitable for breakfast for two, as a work surface for chopping and preparing fruit, vegetables, meat etc. and also as a flexible desk. With a working area of 50 x 50 cm there is enough space for a variety of applications. 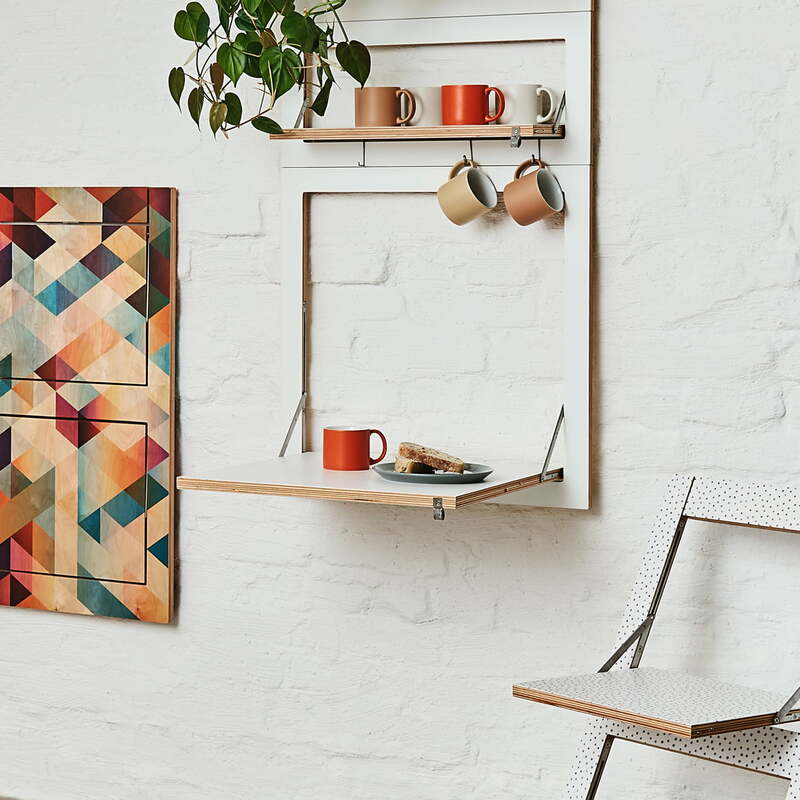 The folding table is made of multiplex birch wood with stainless steel hinges. It is available in different colours. A small felt loop facilitates the folding out of the plate. 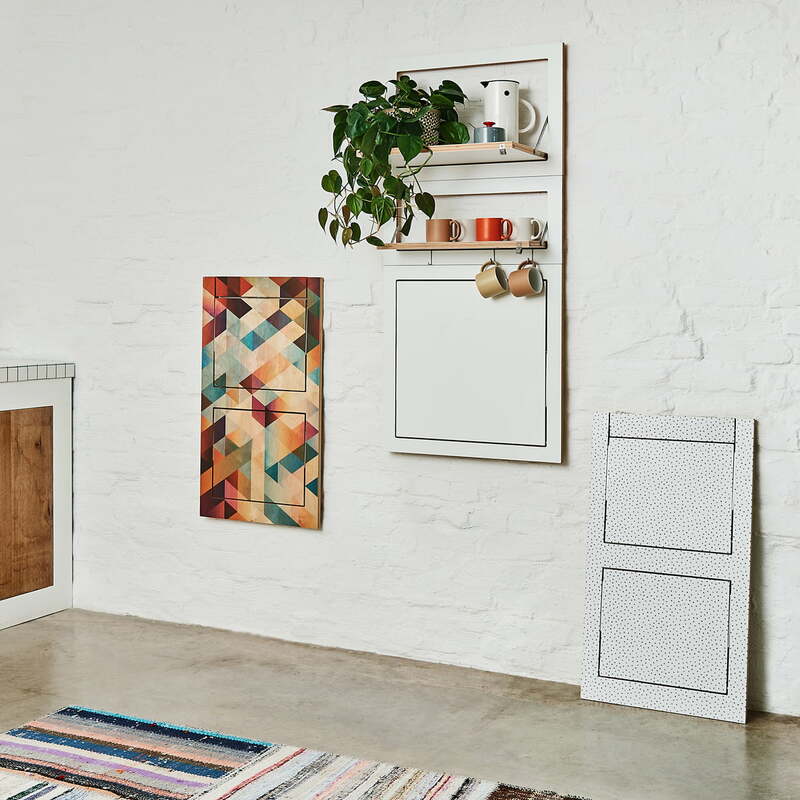 When folded in, the extra flat wall table measuring 60 x 60 cm with a depth of just 3 cm is space-saving. 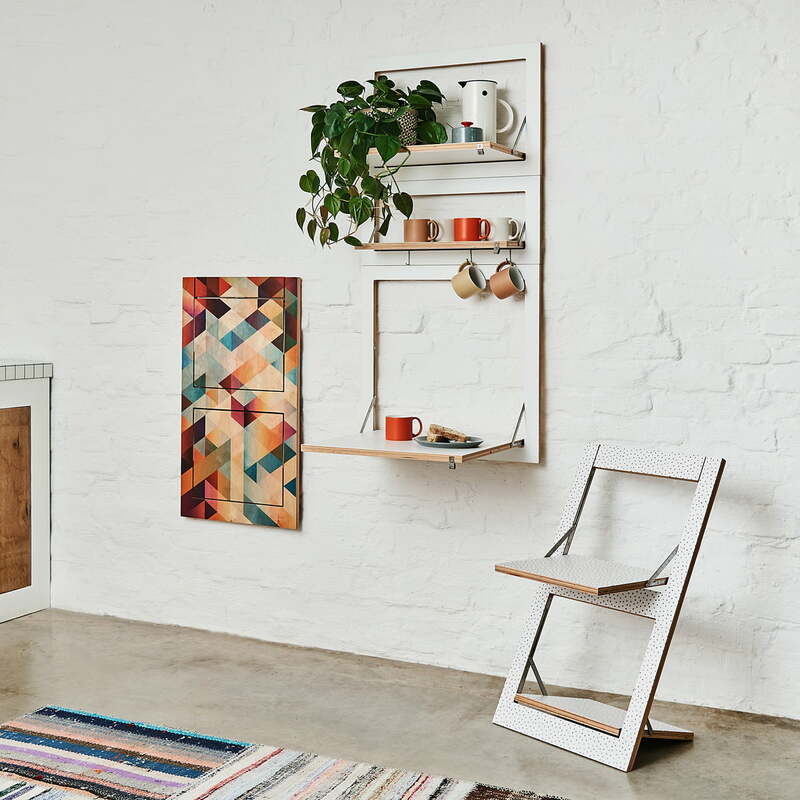 All furniture from the Fläpps series can be combined with each other. In this way, individually designed living and working spaces can be created that are optimally tailored to one's own needs. Details Max. load 25 kg, folded in 60 x 60 x 2 cm + 1 cm wall bracket, working area folded out: 50 x 50 cm. 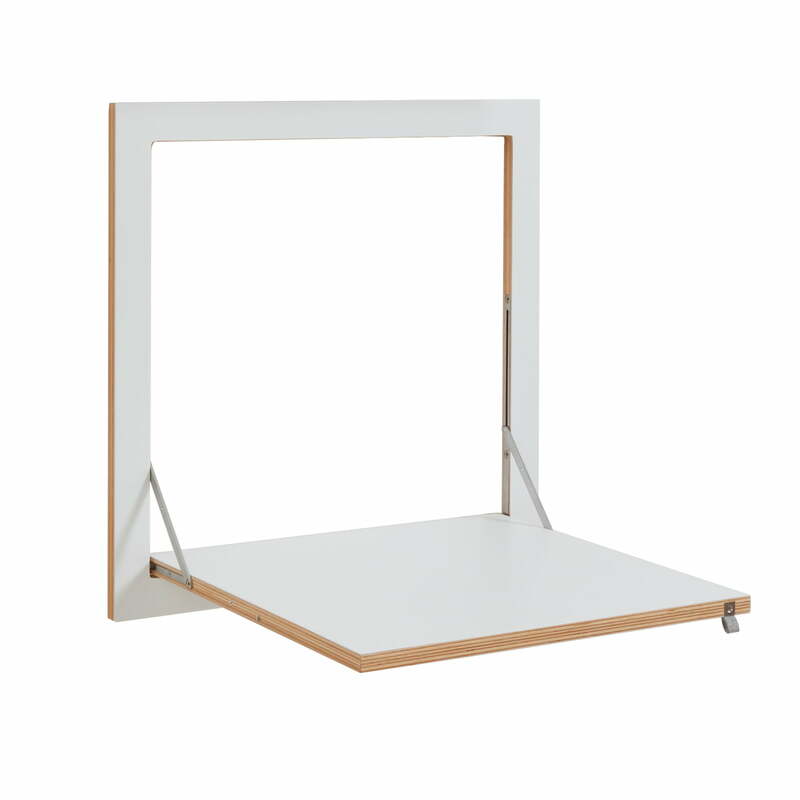 The folding table is made of multiplex birch wood with stainless steel hinges. It is available in different colours. A small felt loop facilitates the folding out of the plate. Lifestyle product iamge of the Fläpps Kittchen table and folding chair by Ambivalenz. 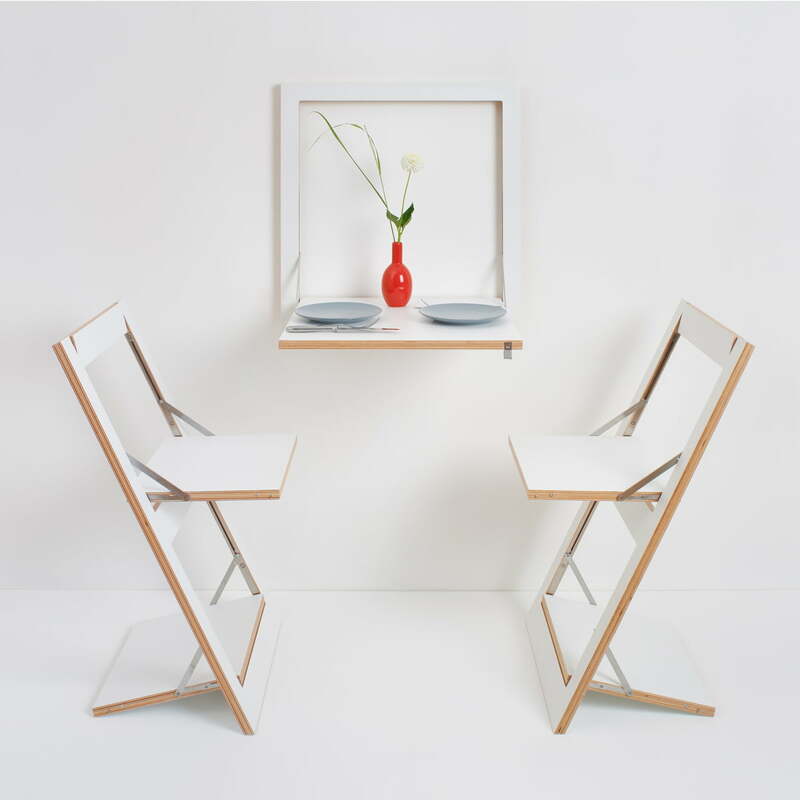 The folding wall table is suitable for breakfast for two together with the folding table.